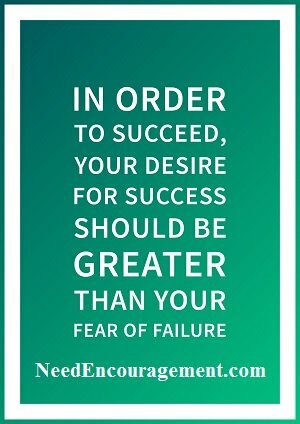 Learn To Avoid The Fear Of Failure! Fear of failure can be translated into a lack of faith in God and or yourself! Here are some encouraging scriptures having to do with the fear of failure. Do Not Let The Fear Of Failure Stop You! Fear Of Failure Can Stop You In Your Tracks! Do not let the fear of failure hold you back! 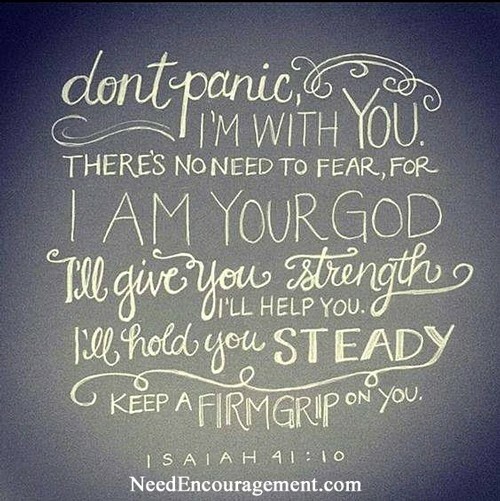 Do not worry; God will not give you more than you can handle without providing His help to make it to the other side. I have noticed in the past that when I have gotten into a position that fear of failure has intimidated me, it had been because of my lack of faith and not keeping my eyes on the Lord Jesus Christ. To fight this fear of failure, I have asked God to give me confidence and make me comfortable in following His will in my life instead of living out my sinful ways. Doubt And The Fear Of Failure Are The Roots Of Your Problems! The world is full of many concerns; and even though we live in this world, we don’t have to live in its fear of failure. The issues of tragedy, terror, sickness, death, pain or disaster are all tools of the enemy the devil, to keep us enslaved. But when you’re free in your mind and your thinking, you’ll be free in your life. Fear of failure is at the root of almost every negative thing that happens in our personal lives. We’re afraid of failing, scared of being alone, or rejected; frightened of running out of money; afraid that people will possibly let us down; that we won’t find a spouse or the one we found will leave us. We’re afraid something wrong might happen to our children or us, and the list goes on and on. All worries and anxieties are rooted in the core belief that God’s Word won’t work. For example, the fear of not having enough is rooted in the doubt that Philippians 4:19 isn’t genuine. If you believe that “God will supply all your needs according to His riches…”, then fear of failure leaves. Everyone has their set of concerns, and everyone has, or is, dealing with issues in their life – today. What we need to understand is that we can’t allow things to master us. There is are both healthy and unhealthy fear, which is to fear the Lord. But there are also unhealthy fears that can stop people from living the life that God has planned for us. The Fear Of Failure Is Your Enemy! Do not let anyone or anything get under your skin as you are dealing with your problems. Prepare to accept the worst. Keep in mind; fear is a sign of lack of faith. Remind yourself of the enormous price you could pay for worrying, such as ill-health. Think of yourself as a victor, not a victim. You are not a victim of Satan’s plan to steal, kill and destroy. You are a vital part of God’s plan to give you life abundantly—John 10:10. I have been afraid to do many things in my life, only to find that, after trying to do what I was scared of, I had nothing to worry about at all. Yes, situations can be stressful in life, but anxiety does not do anything but make life even harder! Psalm 56:11 the psalmist writes, “In God I trust; I will not be afraid. What can man do to me?” You can say that this is an excellent testimony to the power of believing in God. Regardless of what happens, the psalmist will trust in God because he knows and understands the power of God. The key to victory is a total and complete trust in God through the good times, and the not-so-good times. Worrying is like a rocking chair, it gives you something to do, but it gets you nowhere. Trusting God Is A Refusal To Give Up! It is turning to God, even in the darkest times, and trusting Him to make things right. If you are struggling with anxiety, stress, anger, or depression, there is Christian help for depression available here on our website. You will discover that with the help of God, you can do all things.